CHICAGO – In the latest HollywoodChicago.com Hookup: Film, we have 50 pairs of advance-screening movie passes up for grabs to the highly anticipated new fantasy film “Dracula Untold” starring Luke Evans and Dominic Cooper! 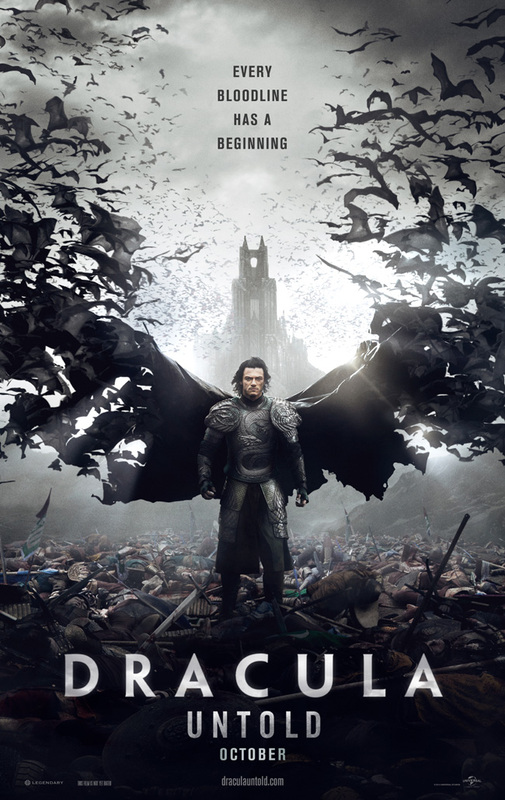 “Dracula Untold,” which opens on Oct. 10, 2014 and is rated “PG-13,” also stars Sarah Gadon, Charles Dance, Art Parkinson, Diarmaid Murtagh, Paul Kaye and William Houston from director Gary Shore, writers Matt Sazama and Burk Sharpless and producer Michael De Luca. To win your free “Dracula Untold” passes courtesy of HollywoodChicago.com, just get interactive with our social media widget below. That’s it! This screening is on Tuesday, Oct. 7, 2014 at 7 p.m. in downtown Chicago. The more social actions you complete, the more points you score and the higher yours odds of winning! Completing these social actions only increases your odds of winning; this doesn’t intensify your competition! Almost an entire century after the world’s first cinematic introduction to Dracula placed audiences under his haunting spell, the studio that pioneered the genre reawakens one of legend’s most captivating figures in an action/adventure that heralds a pulse-pounding rebirth of the age of monsters. Luke Evans (“Fast & Furious 6,” “The Hobbit” series) transforms from the cursed man history knows as Vlad the Impaler to an all-powerful creature of the night in Universal Pictures’ “Dracula Untold”. The film is the origin story of the alluring immortal, Dracula, who we have come to fear as the sun sets. The movie poster for “Dracula Untold” starring Luke Evans. This HollywoodChicago.com Hookup is simple! Just get interactive in our social media widget above. We will award 50 admit-two movie tickets based on social entry numbers and/or randomly via e-mail for our “Dracula Untold” Hookup. Good luck!